For years, ferrite C cores from old TV's had been lying in my junkbox. They were 'unemployed' until I measured ≈ 15.5 μH with 10 turns of wire.. That seemed a suitable value to experiment with a current balun between an asymmetric tuner and open line feeder to the antenna. 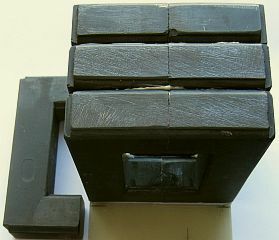 With two components 'power' adhesive, four cores were bonded together as a rectangular 'ring core'. 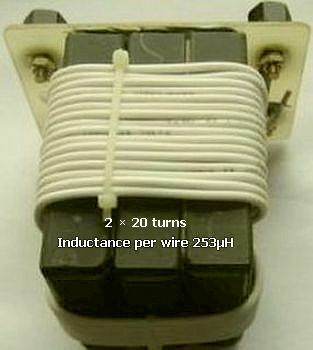 Then equipped with 2 × 15 windings fairly thin Telon wire. 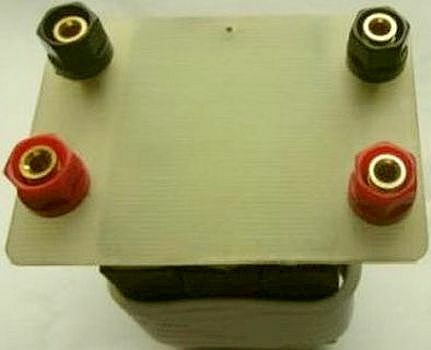 The inductance was about 200 μH and with 500 W transmission power the cores remained stable, only the thin wire became hand warm. That gave courage and because three C-cores are left, two were used to add another rectangle. With thicker Teflon wire, 2 × 3.40 m, was only room for a maximum of 2 × 20 windings with a self-inductance of 253 μH per wire. This value is an impedance of 2940 Ohm for 1,850 MHz. The 253 µH is perhaps inadequate on 160 m for an all band antenna system, but usually suited for the higher bands. Forn example 80 m: 2 × 2940 = 5880 Ohm! 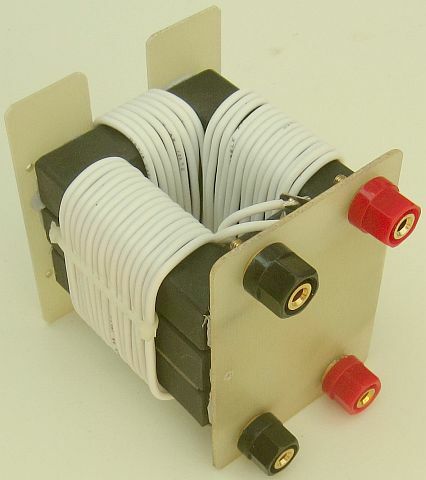 The current balun is installed between a JC-4 automatic antenna tuner and the antenna system shown (fig»). Unfortunately, I don't have more available space on my property for a longer wire antenna. 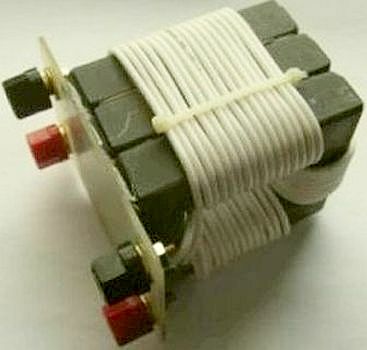 Currently an ACOM 600S amplifier is used with mostly 400 W output, but if the maximum of 600 W is used, the cores of the current balun remains cold. 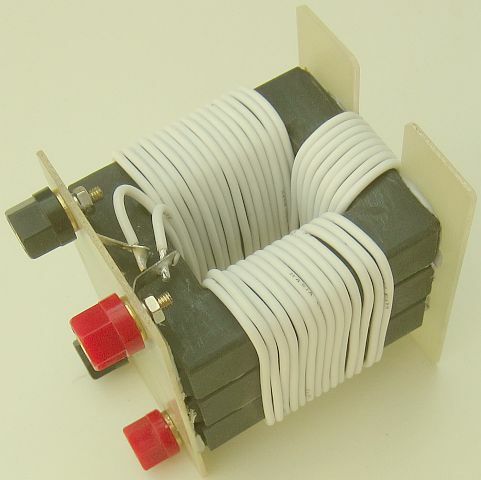 Often forgotten is that the windings of the balun are an extension of the open line or ribbon feeder. In my case it becomes 3.40 m 'longer' and then another match of an antenna tuner is necessary.